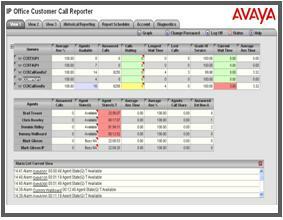 Avaya IP Office has been the hottest selling small to medium sized phone system in the nation. With robust standard features and the system flexibility, the IP Office has continued to grow stronger and stronger as each release comes out. Since its inception in 2001, the IP400 then IP500 processor has continued to evolve. Customer can easily upgrade firmware of hardware when newer releases have came out in the past. 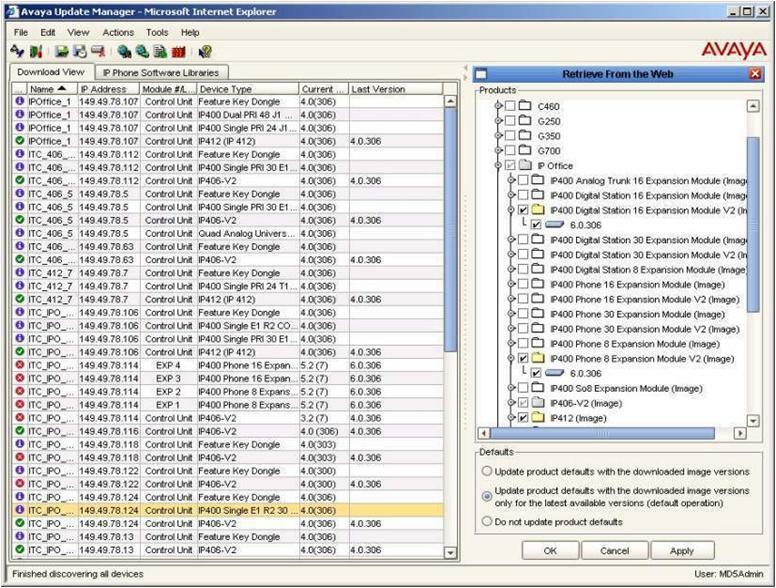 For IP401, IP403, IP406 and IP412 customers who want to go to current R5.0 software release a simple software update strategy is in place that customers have been leveraging to stay current. The CCS support group can help with current IP Office customers to provide in depth programming assistance, installation, training, maintenance and additional sales and support as needed. For new customer, the IP Office is the ideal business solution for you. If you have a Avaya Partner today and are looking for more functionality you can be assured the IP Office makes the transition easy. If you are a current Nortel Network customer using ICS, CISC, MISC, BCM, feel comforted that the Converged support group can support all Nortel equipment until you are ready to make some technology infrastructure improvements. Customers with Cisco UC500 and Cisco Call Manager Express (CME) have limited functionality and find that replacing their existing IP PBX with a new IP500 increases productivity and efficiencies of the business while decreasing overall phone system maintenance costs. With R5.0, Avaya IP Office has introduced the future of IP Office, the One-X web portal for all softphone and dialing needs. The One-X portal will shortly have one-x mobile tie ins like communication manager. View release 5 ip office bundle offerings. Bundles available in California customers and nationwide. At Avaya, our guiding principle is that customers should be supported in migrating to IP telephony at their own pace, following their own path. Our clients can use a mix of digital, analog, IP, and SIP technology and still take advantage of all the applications that convergence provides. The IP500 processor version 1 (IP500v1) has 4 insert modules in the front to easily add digital insert 8 port modules (digital 8 or DS8), analog extension 2 (phone 2), analog extension 8 (phone 8), analog trunk module 4 (ATM4), single t1 pri (T1), dual t1 pri (Dual T1), and voice compression modules (VCM32 or VCM64). The IP500 architecture is based around adding licenses to open up ip resource (VCM) channels and T1 channels as well as voicemail ports. 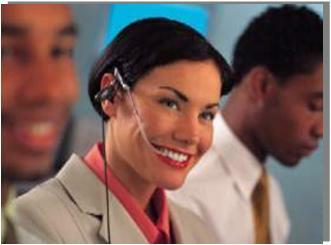 This prooves Avaya's pay as you grow strategies are economical. With the release of IP500V1, an additional 4 port expansion card can be added to give up to 12 expansion ports total bringing you to a total of 384 physical endpoints per processor. Keep in mind, the voicemail pro allows up to 500 subscribers. If you have multiple sites you can use VPIM or voice networked messaging licenses to share voicemail distribution lists and subscribers so you dont have to centralize communication and limit yourself to capacities of one system. Whether you do H.323 simple voip trunk connections to other sites, sip trunking, point-to-point, or small community networking (SCN) the IP500 is extremely flexible and is a great foundation for any business. Popular free features include roaming profiles (hot desking), 64 party built in conference bridge, hot dial pad, internal names directory, voicemail to email, system alarming through smtp and snmp, and a number of ACD and queuing features that customers typically have to pay for. 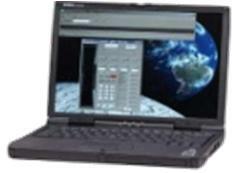 The IP500 processor can be built analog only, digital only, IP only, or a combination of each called out hybrid mode. The IP500 can accept up to 8 T1s. 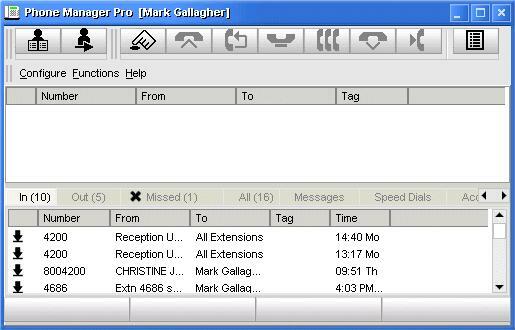 Lastly, the IP Office Manager tool and Voicemail PRO visual call flow application makes changes simple and easy! The best and easiest administration tool i the industry. 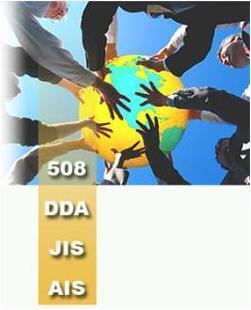 With the release of R4.1 software, the IP Office allowed any 5610, 5620, 5621, 4610, 4620, and 4621. 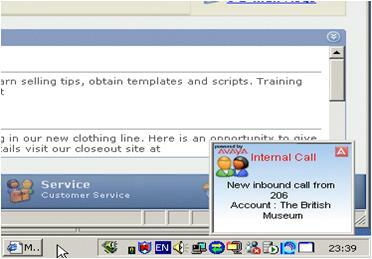 Avaya support VPN on 9600 series phones as of Nov 15, 2009, for Communication Manager. Avaya plans to allow 9600 phones and fully support it on IP Office. VPN IP phones are simple. The IP Sec tunnel gets built inside the phone and the shared secret is placed in the phone and it tunnels back to your main site router and firewall solution. About 85% of existing router and firewall solutions support the VPN IP phone. Manufacturer like Kentrox, Netgear, Linksys, Adtran, Sonicwall, Cisco, Extreme and Juniper are some routers that have been supported. With IP Office R5.0, the VPN license comes included in certain user bundle offers like the power user. Ask your CCS representative about new teleworker, mobile worker and power user bundles as well as preferred and advanced system bundles now available.